Strength Training To Start Building Muscle And Getting Into Shape. If you want to lose weight while getting fit and strong you're going to have to go to a place where calories fear to tread. The place where love handles go to die, and where hard, lean muscle is forged in the fires of burning fat. That place is the weight room, and your challenge is compound exercises. Compound exercises are lifts that engage more than one muscle group, and which require more than one joint. These exercises typically require big movements, and it means that several muscle groups have to work together in order to complete the exercise. That's what you're looking for, because the more parts of your body you engage, the more calories you'll burn, and the more weight you'll lose. Not only that, but by building muscle through strength training you'll burn more calories when you're not at the gym, which is a big advantage for staying fit and trim. 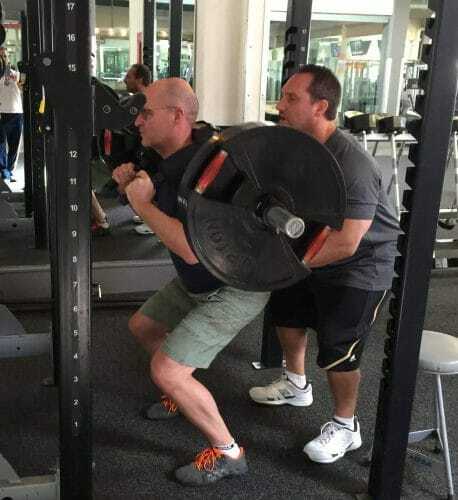 Squats are a hated ally in the war on weight. You put the barbell across your back, grip the bar, and stand straight. Your feet should be shoulder width apart, and your toes pointing slightly outward. Lower yourself as if you were sitting in a chair, keeping your shoulders back and your chest up. Exhale until you've gone as low as you can, then inhale when you stand. This exercise engages your quads, your core, your hamstrings, and several other muscles besides. Perhaps the biggest compound exercise, deadlifts are no cakewalk. You place the barbell on the ground in front of you, and stand with your feet shoulder width apart just under the bar. Bend at the knees, and grip the bar. Your hips should be above your knees, which means you should be bowing slightly, but not sitting as you would with a squat. 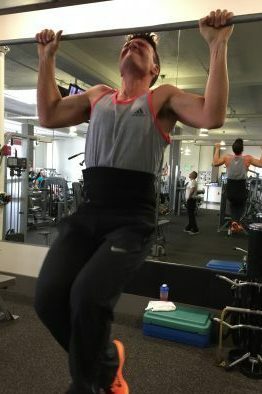 Keeping your chest up, shoulders back, and back straight you lift with your legs until you're standing straight, and then you return the bar to its starting location. This exercise engages your entire lower body, and then some, which makes it a favored exercise among weightlifters looking to get results. Perhaps the most loathed exercise in gym class, pull ups are one of the best body weight exercises you can do for building strength and burning fat. You grip the pull up bar, and begin the exercise by hanging. You then pull yourself up using your back and shoulder muscles along with your arms until the bar touches your chest. Then you lower yourself slowly. This lift activates most of the muscles in your upper body, which is why it's so highly recommended. Another great body weight exercise, dips look a lot easier than they are. Often used with a Roman chair, you grip the two handholds on either side of your body, straighten your arms, and lift your feet off the floor. Keep your elbows tucked in toward your sides, and slowly bend your arms until you reach a 90-degree angle. Push yourself back up slowly. You'll feel this lift in your shoulder and triceps mostly, but also in your core and your chest. Compound lifts will burn fat and build muscle, but they can't be the only parts of your routine. While a compound-only workout routine makes for good variety, it's also important to change up your workouts and to let your muscles rest. Good nutrition, full nights of sleep, and listening to your body when it tells you to stop are all things you need before you set all that fat on fire. go to the before and after section for more! For other exercises check out my youtube channel! You should make adjustments to your diet, especially if you eat out a few times per week. You want to build muscle without adding bodyfat. 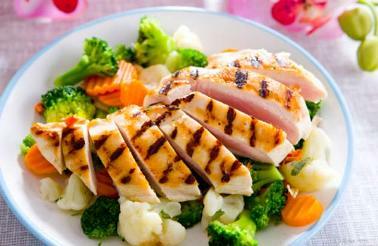 The key is to eat smaller and more frequent meals enriched with proteins, complex carbohydrates, and fibers. It is recommended that you have five to seven small meals per day with your biggest meal scheduled an hour after your workout for optimal muscle growth. Be sure to drink plenty of water to detoxify your organs, flush out lactic acid and replenish your muscles. Drinking water will also keep you from retaining excessive water under the skin. If you'd like more expert advice on getting the body and physique that you want, then simply contact us today!